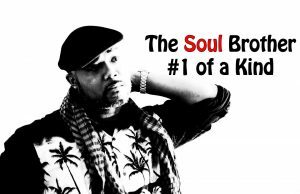 On this episode of the Soul Brother #1 of a Kind I reflect on why I’m “confrontational” from an intellectual standpoint, or “intellectually aggressive”. Then, I speak on what hinders the ability to be confrontational, and why it’s necessary to have more intellectual fighters from the black community. “I find a huge parallel between battle rap and socio-political debate. For starters, that confidence has to be there. That confidence is buttressed by how well studied you are. Did you do your research? What do you know? Now, what do you don’t know? How are you going to fill in the gaps in regards to the things you don’t know? These are the questions you gotta ask yourself, whether you are a battle rapper or a debater.